Most Locksmiths are trustworthy and reliable people….and then there are the scammers… It gives us good locksmiths a bad name. Well here are some tips to protect yourself…..
All Locksmith are licensed, insured and bonded. You give them a call with your issue and your quoted one price, then once the job is complete you are charged a completely different price. Sometimes even a trustworthy locksmith cant give you an exact price over the phone( the lock issue may not have been as exactly described over the phone) but it shouldn’t be a massive increase from what was quoted over the phone without reasonable description. Some scammers pretend to be a local business; they even advertise a local address and phone in their ads meanwhile they don’t even have a store front. 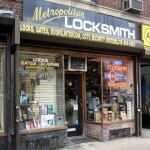 Look for an experienced locksmith that has been in business for over 10 + years. As a reliable and trustworthy locksmith our main concern is making sure we have extensive knowledge in helping you in all aspects of securing your home, business, school or property.